With summer as nicely tucked away in the fading mid-year months as I am in my completely necessary, overly-fluffed blanket by the fire, I think it’s safe to say that fall has finally arrived. However, it’s not just the leaves that will be changing year. Let’s take the time to recognize the resurfacing fall wedding beauty trend that has fallen upon us: short hair! Now, there’s no reason for you style-conscious brides to fret because I have compiled a guide full of wedding hairstyles that would make those long haired, summer brides jealous. Something that comes with having short hair is having shorter layers near your face. Braids are the perfect way to combat that and are super easy to incorporate into your wedding hairstyle! Whether you fashion a braid around the crown of your head, combine two smaller braids starting at your temples, or just a delicate one keeping you flyaways out of your face, you can include it in any wedding style. For some of you more classic brides out there, this can be a clean and simple wedding hairstyle to use on your big day. However, that’s definitely not to say that this can only be a simple style! Adding hair accessories like flower crowns or jeweled headbands can make this look suitable for plenty of wedding styles. This look is ideal for a bohemian bride with a more laid-back wedding style. You can easily pull all of you hair back into a tousled bun or you can leave some of your shorter layers out to frame your face. This one is definitely a crowd favorite when you add a colorful flower crown! 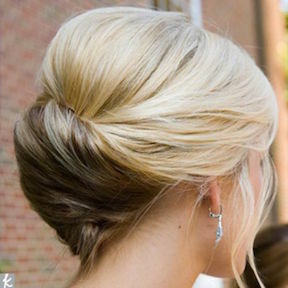 Almost any hair type (wavy, straight, curly) can look amazing in this wedding hairstyle. Also, if you want to include braids this is the look to do it with. It allows you to showcase your short locks and keep the shorter strands out of your face as you stare at the man of your dreams…no one needs flyaway hairs to get in the way of that view! 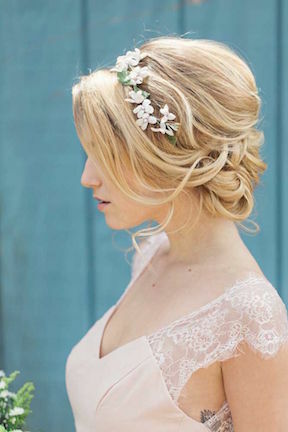 Brides who have an affinity for wedding hairstyles from history, this is for you! 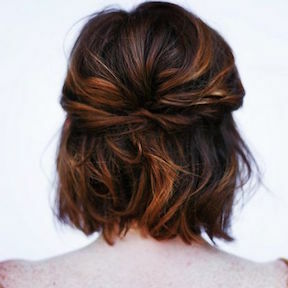 While this style can be done with long hair as well, it is even more adorable on those of you who have shed some length. Adding a bird cage veil will complete this blast from the past wedding hairstyle. It’s no surprise that everything old will become new again after checking out these wedding hairstyles for you short haired babes. With celebrity idols like Julianne Hough, Jessica Alba, and Kim K totally rocking the short locks, it’s time to take a stand and embrace the change: short hair don’t care! Say it loud, say it proud, and say “I Do” to shedding the length.